The study surveyed 20 different sectors and 1,000 companies, asking respondents to indicate losses related to a wide range of legal issues. The most common legal issues faced by business owners were related to employees and suppliers, regulatory matters, tax, disputes, and software. 80% of small SMEs fail in the first 5 years and the cost of failing to take advice is c.£13.6bn. These statistics show that the failure to take legal advice is enough to destroy most businesses no matter how well they do. You don’t have to choose between getting a product to market and legal risk management. Of course, you want to concentrate on your product, getting it to market, branding, social media and sales and not pay for legal risk management but you can afford it and the structure of that is set out in the summary. Business owners need to pay attention to legal risk management designed to stop sudden expenses or claims drive you off course or out of business. • To be able to combat claims from clients and customers. These need to be contained in your own bespoke trading conditions. • Employment Policies and Conditions: Compensation for discrimination claims are unlimited and can sometimes not be warranted forcing you into a settlement. • Protect your IP and your branding: It’s the most important thing you will have on your balance sheet. • Corporate governance: That includes resolution of disputes, what happens (to shares) if a partner / shareholder dies. It governs who you are or will be in business with, regulatory issues. You can set the rules now. • Correct Corporate vehicle: Are you using the entity that suits your business objectives, limits risk and is tax efficient. You will need to have all this in place to raise investment by third parties in your business. 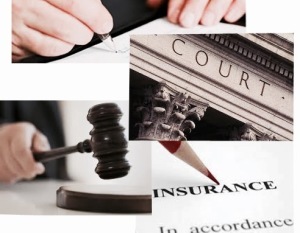 Legal Expenses Insurance You need to take out legal expenses insurance, it’s not expensive. It means that when you need to defend a claim or make a claim you can rely on your legal expenses insurance so that you can resist or make claims without the fear of the financial consequences if you lose. Legal risk management and correct corporate structure is a necessity. The Brooke Consultancy can put this in place by adapting to your financial resources and cash flow. The Brooke Consultancy is a source of multi-disciplinary advice from one source, to learn more about that download our free Big Business Booklet on our website, contact Lynne Brooke on 07717 813925 or email to have an initial free conversation about business development, legal risk management and affordable costs. This entry was posted in Blog and tagged contracts, disputes, enterprise, insurance, legal advice, small business, SME. Bookmark the permalink.